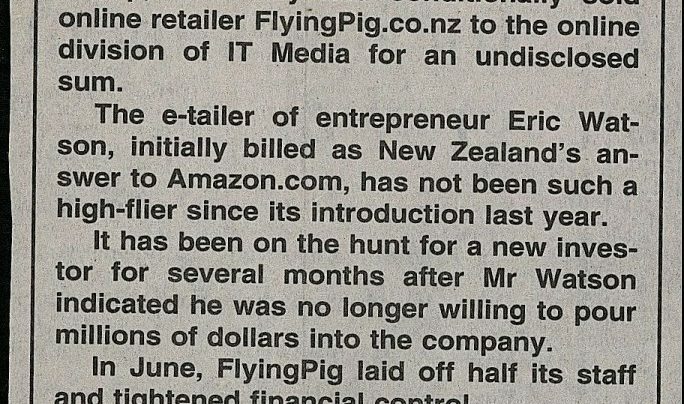 The Dominion Post reports on the sale of Whitcoull’s online venture, Flying Pig, to IT Media. 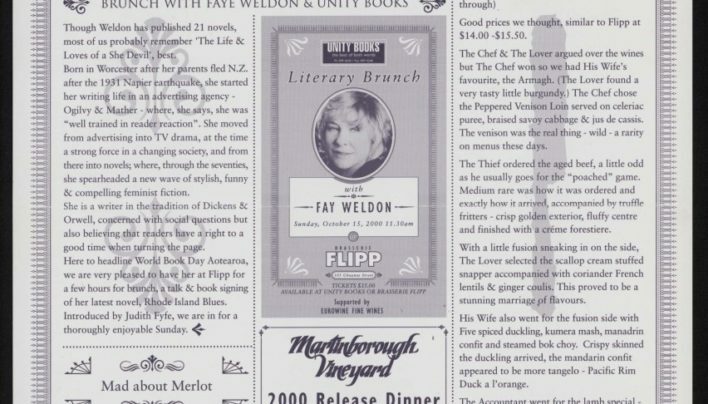 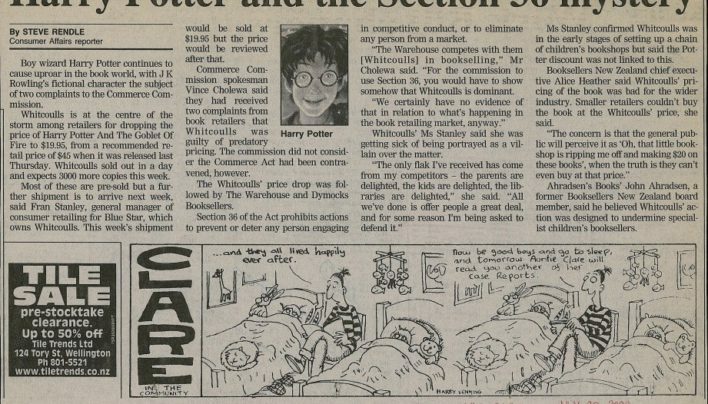 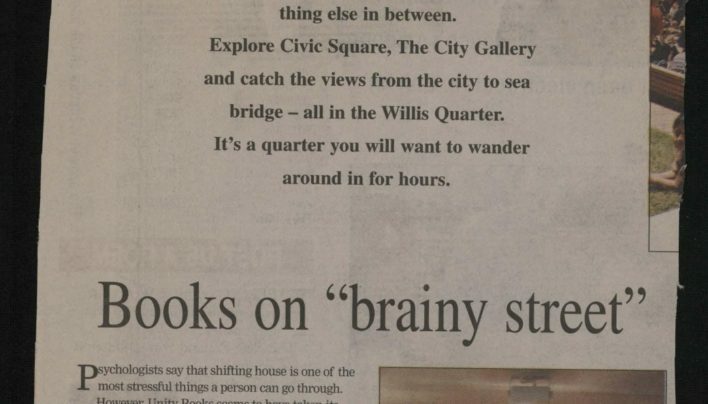 An article about Whitcoulls’ pricing strategy with regard to to the release of Harry Potter and the Goblet of Fire by J K Rowling (Bloomsbury). 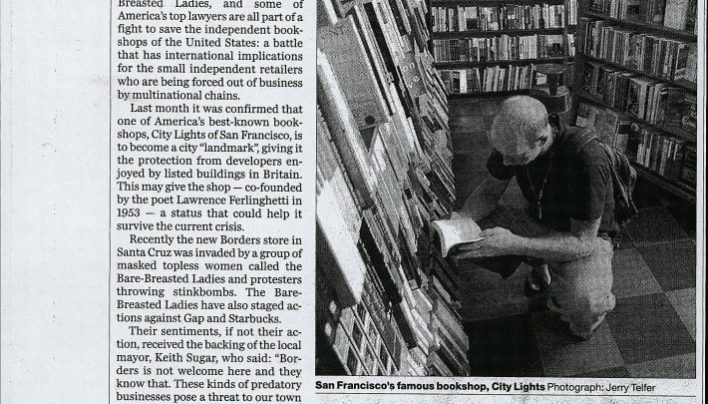 Duncan Campbell reports on the battle between small independent bookstores and mega-chains in the US and UK in this article from the Guardian Weekly. 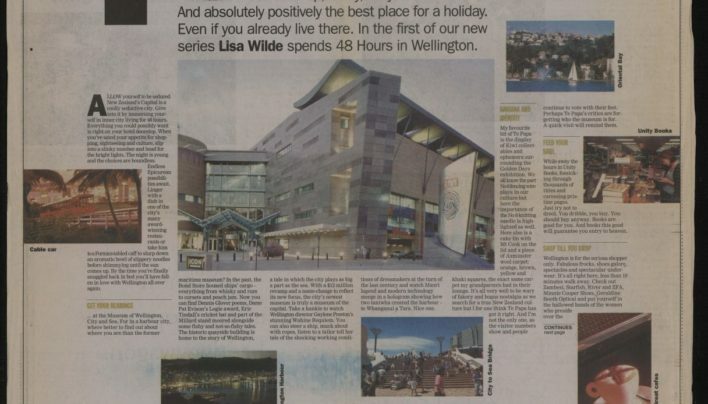 Sian Robyns recommends a book in the R&R column of the Evening Post. 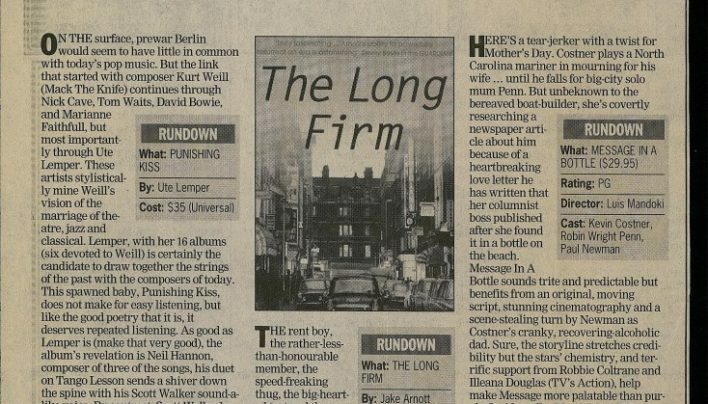 Future shop girl Colin Morris is the music reviewer. 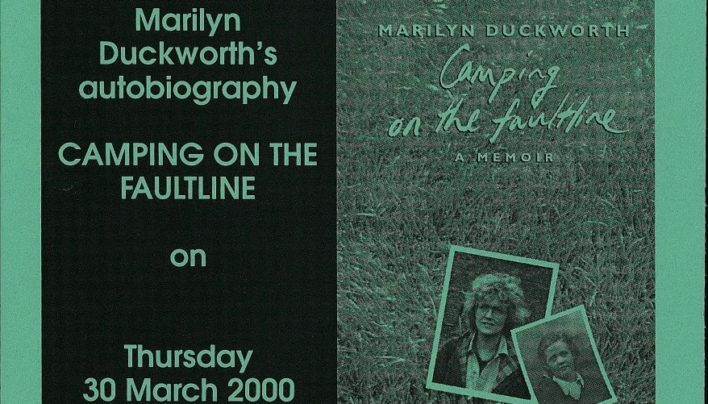 Invitation to the launch of Marilyn Duckworth’s autobiography Camping on the Faultline (Random House NZ Ltd).